Can someone tell me what we are looking at here? Thanks. 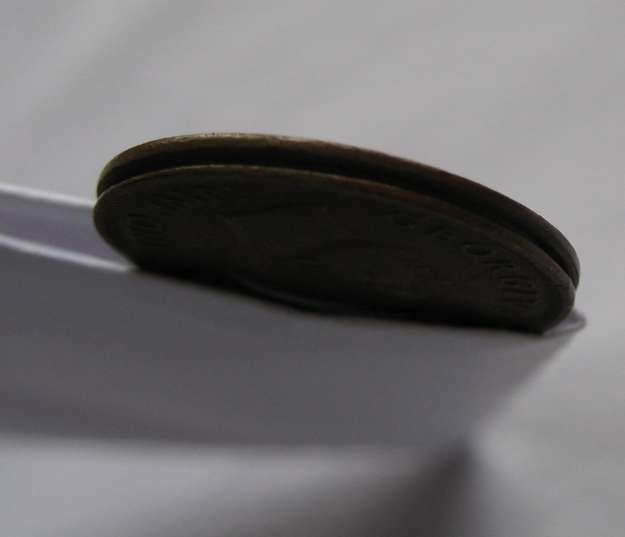 Topic: Die Shift, Repunched Die or Double Die on 1861 NS Penny? 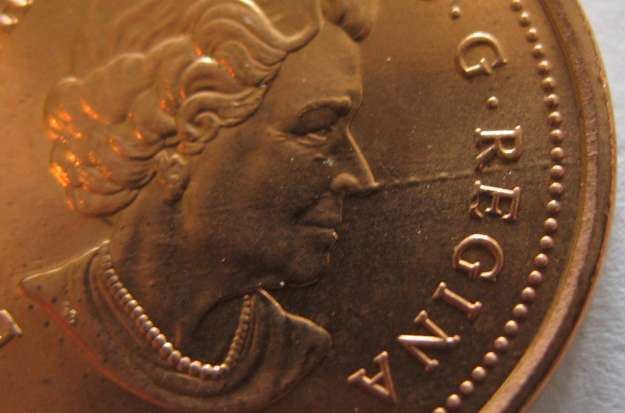 Topic: 1888 Victoria penny with strange "1" on queen's neck ???? 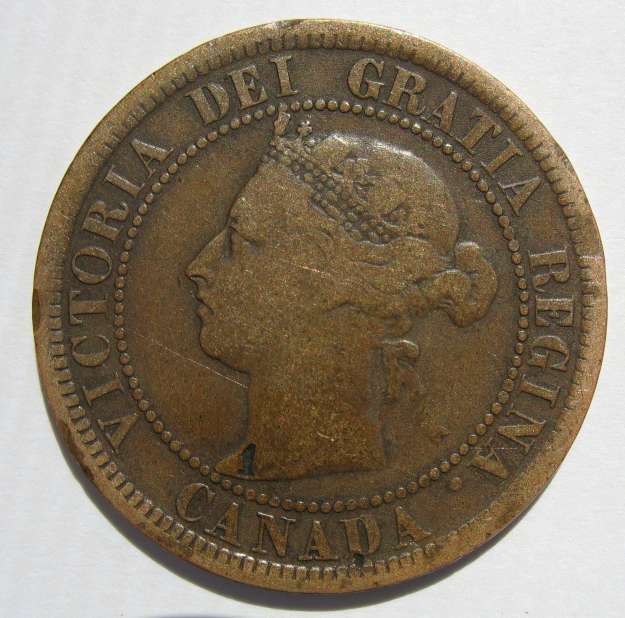 Re: 1888 Victoria penny with strange "1" on queen's neck ??? Does anyone know what we're are looking at here? It looks like a number "1" in the neck of the queen on the obverse. Just wondering if anyone has ever seen something similar to this? 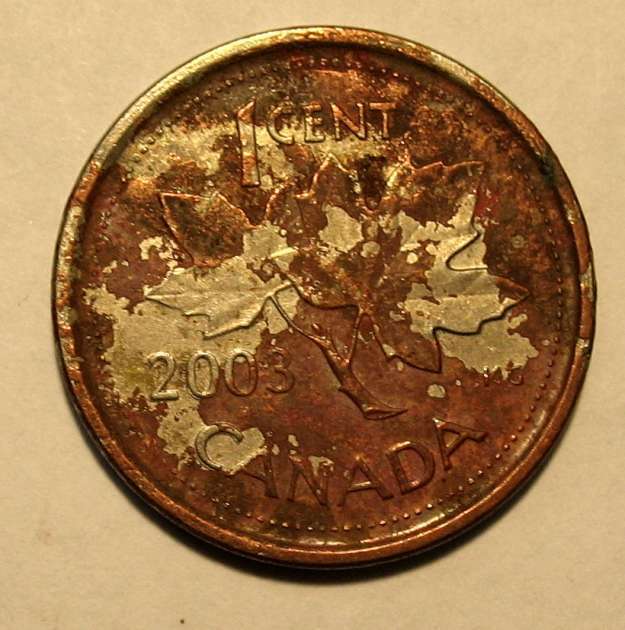 Can anyone explain this penny discoloration? Topic: 2003 Die Damage, should I get this coin certified? 2003 Die Damage, should I get this coin certified? 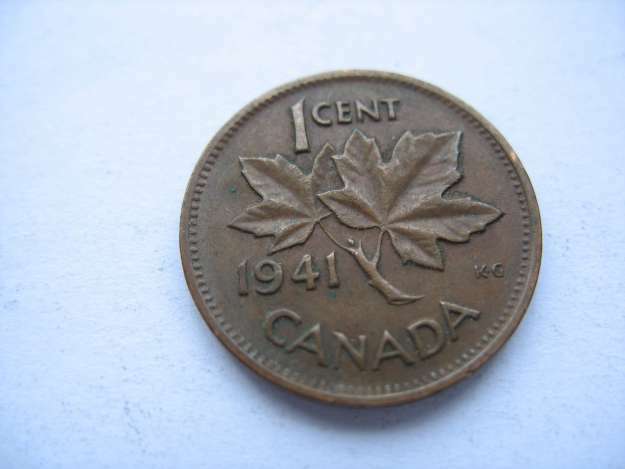 I found this coin in pocket change, should I get it certified?